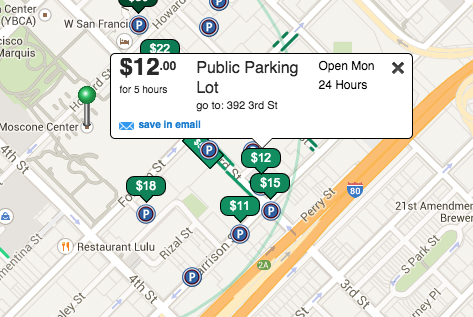 The challenge with parking near Moscone Center is that garages raise their prices when there are big events at Moscone Center. So the hourly pricing is replaced by a flat fee of $30.00 to $50.00. In general, garages that are north of Moscone Center will be more expensive than garages that are south of Moscone Center. This is because the north side of Moscone Center is the financial district, a densely packed area, where parking is in high demand. 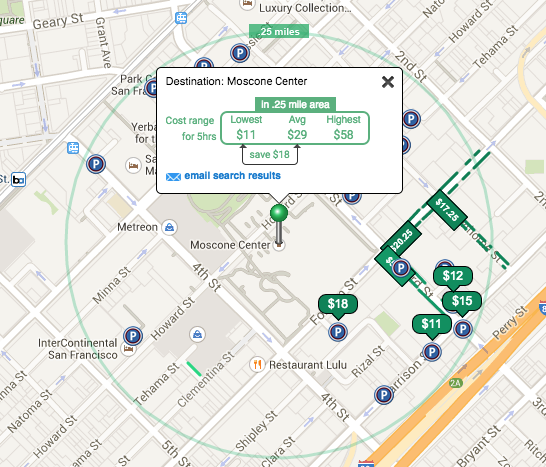 The neighborhood in the south side of Moscone Center can be a little "rough"; that's probably why parking is less expensive. Furthermore, the lots on the south side are smaller. 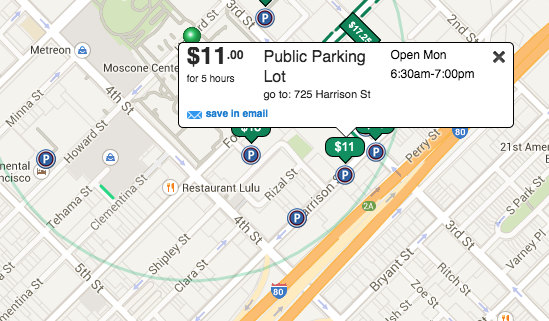 In short, Moscone Center's north side parking garages are more expensive than the south side. 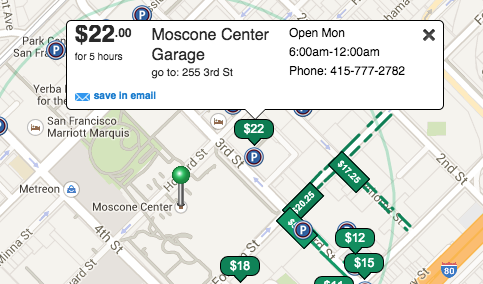 The Moscone Center garage at 255 3rd St. is the closest garage and it only a few dollars more expensive that the parking lots and garages in the south side. 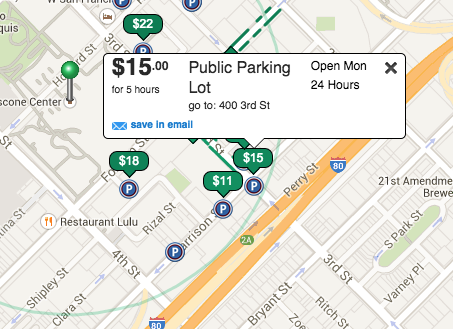 For 5 hours of garage parking starting 10:00am on Monday, the cheapest is $11, the average is $29, and the most expensive $58 in a .25 mile area. What happened to Moscone Center Garage, the garage that is adjacent to Moscone Center itself? It's $22.00. Perhaps the extra $11 that you spend to park for 5 hours saves you the walking time of 5 minutes each way for a total of 10 minutes.